This decision by the Japanese government is driven by the tragic killing of two Japanese hostages by ISIS in February 2015. The incident exposed the Japanese government’s lack of capacities to collect and analyze intelligence relating to terrorist activities that can threaten Japan and its people. Other new measures include tightening immigration control, enhancing the emergency alert system for the Japanese citizens in foreign countries, strengthening the security of critical infrastructure in Japan, and pursuing international cooperation in counter-terrorism efforts. Such a knee-jerk reaction by the Japanese government is understandable. 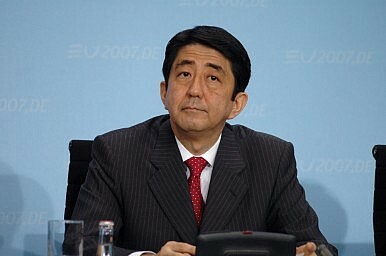 In the wake of the hostage-taking and the eventual killing of these two Japanese citizens, Japan’s government has been exposed to the criticism that it lacks the human, financial, and other resources to gather intelligence that is critical for Japan’s national security, including the safety of its own citizens abroad. The crisis renewed some politicians’ effort to call for Japan to establish a foreign intelligence service similar to the U.S. Central Intelligence Agency or MI6 in the U.K. However, these reactive measures, while better than nothing, will not solve the fundamental problem facing Japan’s intelligence organizations. Plainly put, the Japanese government has not been able to invest enough financial resources to equip its intelligence organizations with meaningful wherewithal to boost their capacity to collect, analyze, and distribute the intelligence they gather. Japanese intelligence organizations have been often criticized for being stovepiped and having a predominantly law-enforcement focus, often at the expense of other national security considerations. In theory, the Cabinet Intelligence Officer is supposed to function as a highest-ranking intelligence officer in the Japanese government, but his access to the prime minister and other key political figures in the Japanese government is frequently overshadowed by the senior officials in the NPA, the Public Safety Investigation Agency (PSIA), and the director of Defense Intelligence Headquarters (DIH) of the Ministry of Defense. The Cabinet Intelligence Officer does not have the authority to allocate resources or to move personnel among the intelligence organizations across the government, leaving these organizations to conduct their own activities with little coordination or communication. The newly proposed measures do little to solve this problem. Furthermore, the proposed measures seem to focus almost solely on human intelligence, or HUMINT, almost completely disregarding the necessity of synthesizing HUMINT with other forms of intelligence such as signal (SIGINT), electronic (ELINT), imagery (IMINT), measurement and signature, (MASINT), technical (TECHINT), and open-source (OSINT). Even in the realm of HUMINT alone, it takes more than developing Japanese analysts who are fluent in foreign languages to develop a real HUMINT capacity, including the cultivation of indigenous informants and establishing the extraction of in-country agents and/or informants when necessary. Once again, Japanese nationals abroad fall victim to a terrorist group. After Dhaka Attack Claims 7 Japanese Lives, Tokyo Steps up CounterterrorismJapan Mulls Creating Its Own CIAUS-Japan Trade Agreement Negotiations: Why Now?Japan’s Belt and Road Balancing ActCan the 2020 Olympics Push a Rethink of Japan's Counterterrorism Strategy?